I appreciate the way they remember my dog when I call, even though we don't go very often. They always remember, or at least seem to remember, and I appreciate that. They seem to really care about the animal. Their flexibility, I have a crazy schedule, and I would make and cancel reservations all the time. I even offered to pay anyway once, and they said it was no big deal and they were there for me. Definitely board your loved one with them, because they will care for them. Overall, I think it's a very clean facility, which is important when leaving your animal to understand sanitary procedures. I also like the care the staff shows. They're very caring and interested in my dog. They played with her, posted photos on Facebook, so you can see how they're doing. They really care about what they do and the clients. They took good care of my dog. 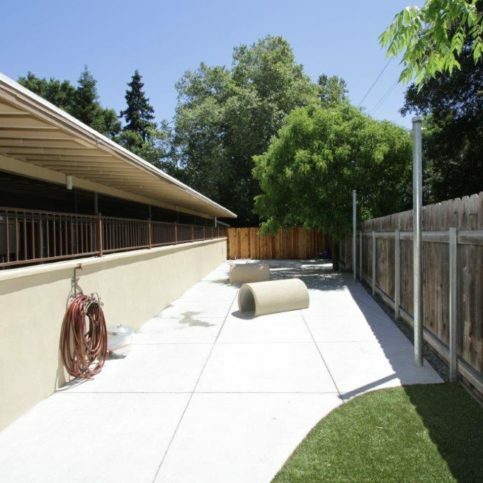 Dublin Creek Kennels, Inc. provides short- and long-term boarding for all types of dogs and cats at its spacious facility in Dublin. 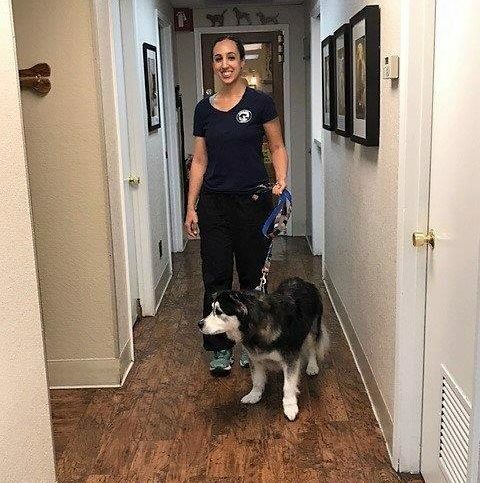 The family-owned and operated company also offers dog training and grooming services, and it runs an adoption program called Dublin Creek Animal Foundation that finds homes for animals that have been rescued from overcrowded shelters. 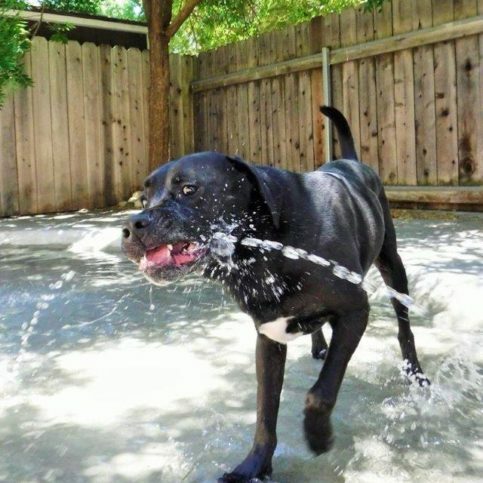 DIAMOND CERTIFIED RESEARCHED CAPABILITIES ON Dublin Creek Kennels, Inc.
Company Name: Dublin Creek Kennels, Inc.
DIAMOND CERTIFIED RESEARCHED ARTICLES ON Dublin Creek Kennels, Inc.
A customer's dog plays in one of Dublin Creek Kennels' onsite water fountains. 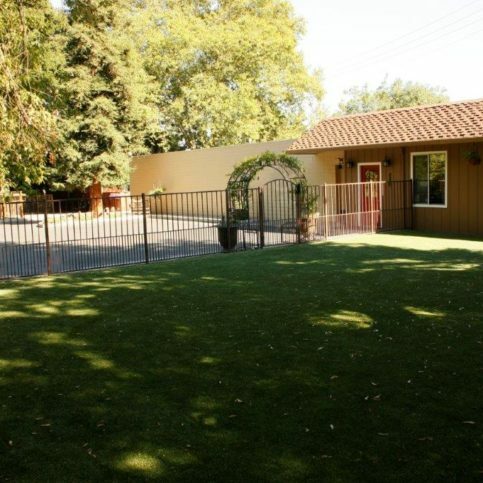 Dublin Creek Kennels has been providing short- and long-term boarding for all types of dogs and cats at its spacious facility in Dublin since 1996. 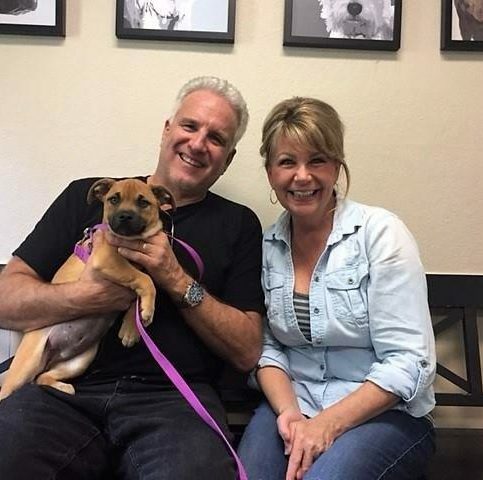 The family-owned and operated company also trains and grooms dogs, and it runs an adoption program called Dublin Creek Animal Foundation that rehomes animals that have been rescued from shelters. 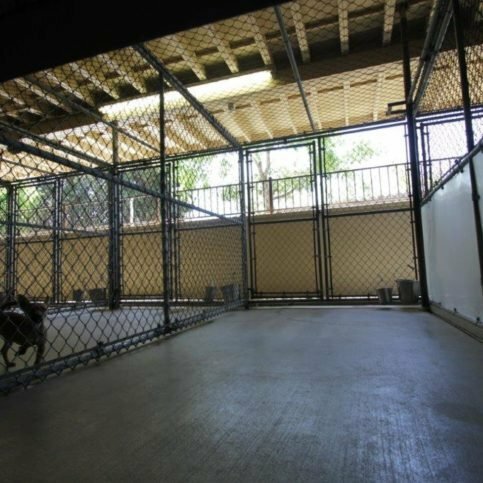 If you’re interested in a particular kennel, request a tour. Ask yourself: Are the people welcoming? Do I feel comfortable? 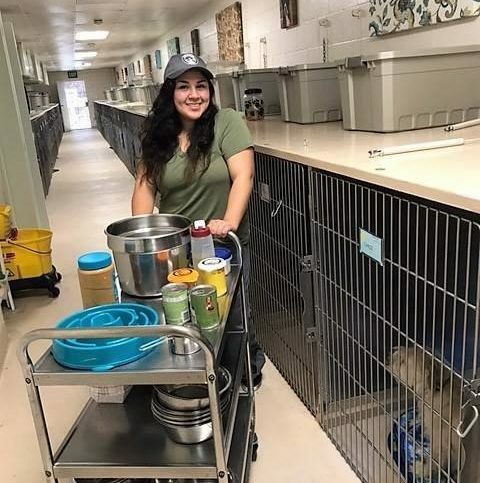 “You should look for kennels that are willing to show you their entire facility and give you enough information to make a decision,” says Ms. O’Reilly. While some kennels offer tours at any time, others have set tour hours or appointments so they can make sure a staff member is available to spend time with you and answer your questions. Is the kennel clean? Does it smell reasonably good? Is there fresh air and outdoor access? 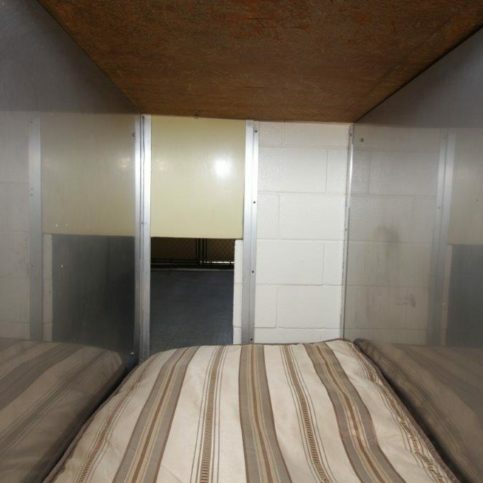 Are the sleeping areas private and sheltered from other animals? Dogs are pack animals and usually like being in a group, but many also prefer a den-like space where they can feel secure. “When you’re choosing a kennel, safety should always come first,” adds Ms. O’Reilly. 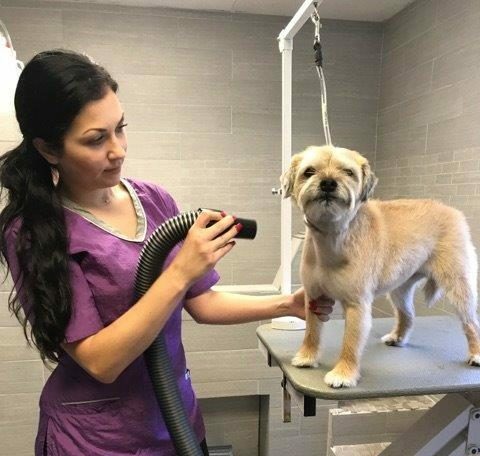 “That means all the dogs should be fully vaccinated, and the staff should understand dog behavior and health.” Having a veterinary technician on staff is also a plus, as it demonstrates a commitment to keeping the animals healthy and happy. 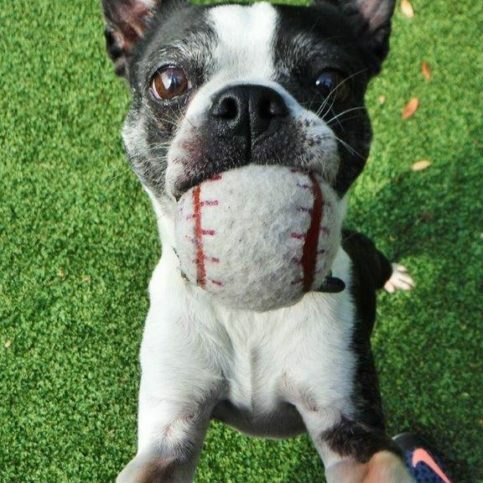 Q: Do dogs play together at your facility? A: No, and that’s why many of our clients come here. Even if a dog is friendly, it might not have the social skills to interact with other dogs, which can cause some safety concerns. We exercise our dogs individually, and there’s always a staff member with them in the yard so they aren’t alone. Q: Will my dog have indoor-outdoor access? A: Yes, every dog has an indoor-outdoor run, so they can go in and out as they please. When it’s warm outside, they can go in and out all night. Q: Can you give my dog its medication? A: Yes, we can administer pills, creams, eye and ear drops, and other types of medication. We can even give daily allergy shots, and we’re good at giving pills to picky dogs. Q: Can you feed my dog its own food? A: Yes, you can leave food and feeding instructions so we can make sure your dog is on the same schedule as it would be at home. We can give treats, but we ask that you either bring your own or tell us it’s OK to use ours. Q: How can you allay my fears if I’m nervous about leaving my dog? A: It comes down to making you feel comfortable. We’ll give you a tour of our kennels so you can see where your dog will be staying, and we’ll answer any questions you have. Q: Does my dog need up-to-date vaccinations in order to stay with you? A: Yes. We want our clients to feel safe knowing that the dog sitting next to theirs is vaccinated. We realize that some dogs can’t be vaccinated due to medical issues, so we do allow for those circumstances if a veterinarian informs us beforehand. 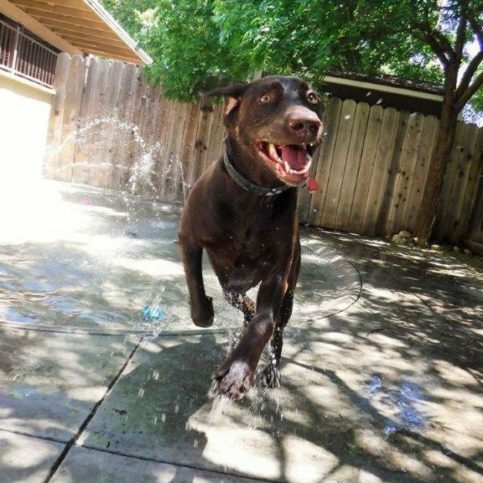 SELECTED PHOTOS FROM Dublin Creek Kennels, Inc.
A customer’s dog plays in one of Dublin Creek Kennels’ onsite water fountains. 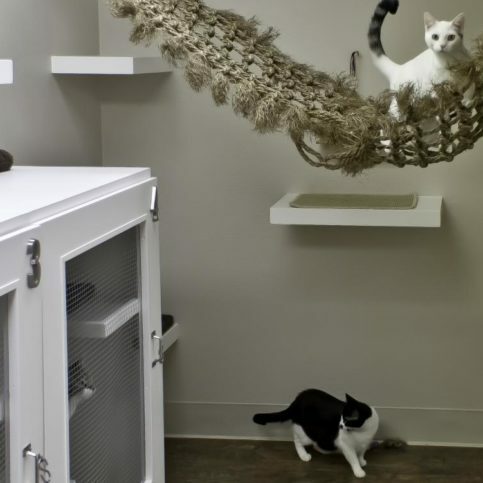 Dublin Creek Kennels offers a “deluxe cattery” for feline guests. 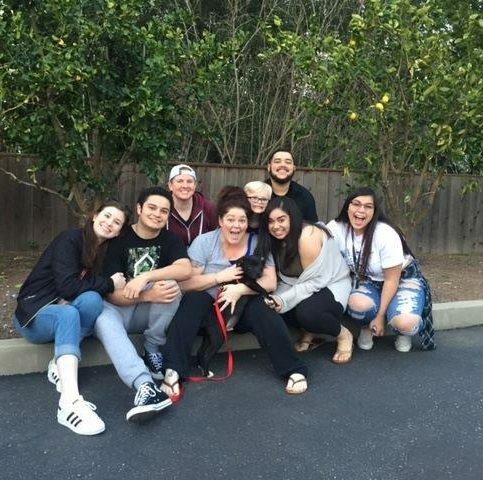 Dublin Creek Kennels believes adopting a pet is a family affair. 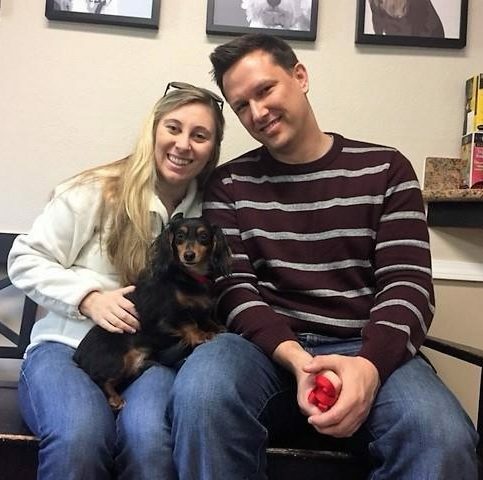 Dublin Creek Kennels helped this couple find a dog to adopt. Staff member Alyssa makes the rounds for feeding time. 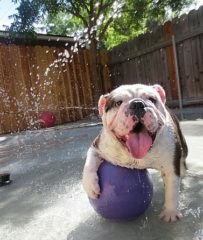 Bosco spends some quality time in Dublin Creek Kennels’ water park. Coco rolls in the grass in Dublin Creek Kennels’ yard. 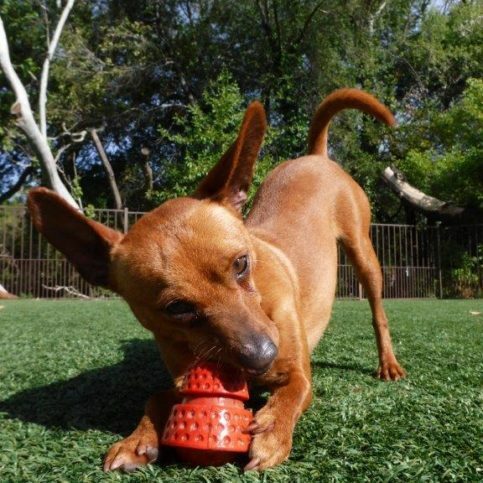 Curry is ready for playtime in Dublin Creek Kennels’ yard. Franklin chews on a toy in Dublin Creek Kennels’ yard. 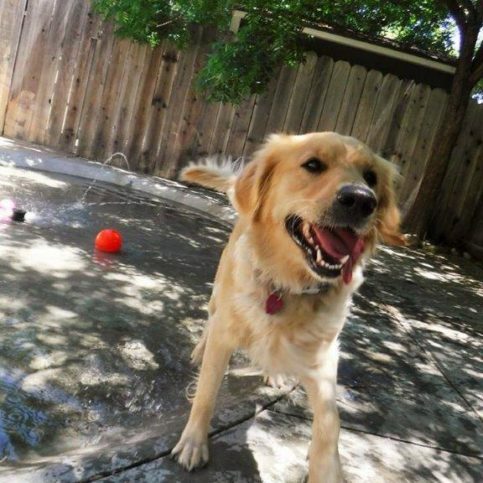 A customer’s golden retriever plays in Dublin Creek Kennels’ yard. 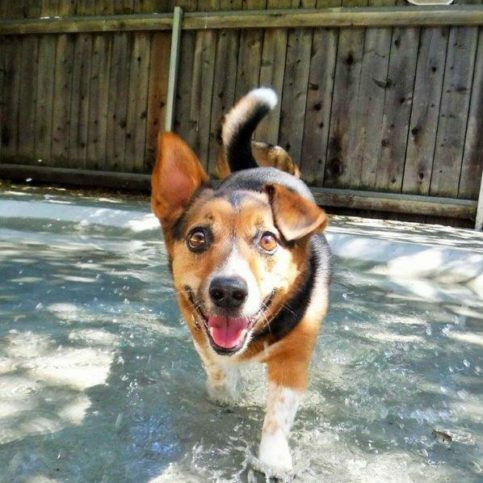 Lexy splashes around in Dublin Creek Kennels’ water park. 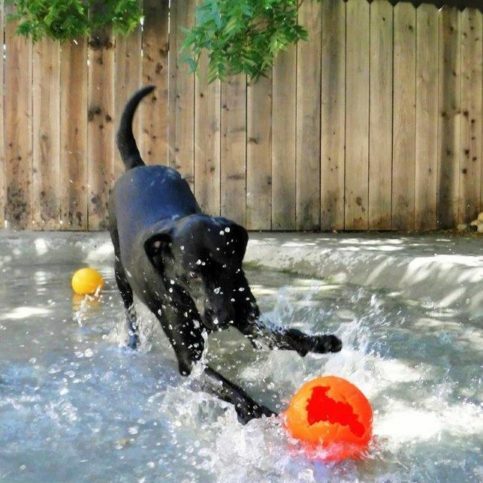 Maggie enjoys some playtime in Dublin Creek Kennels’ water park. 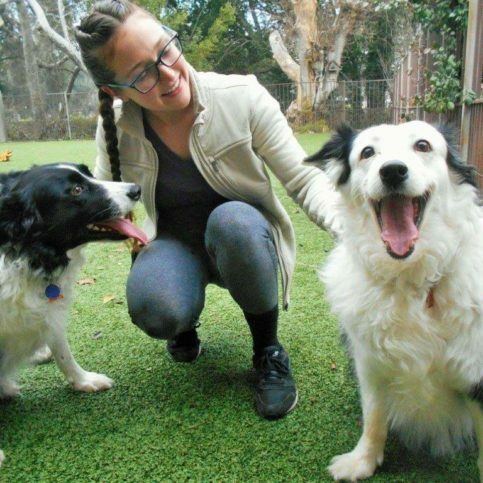 Staff member Michelle plays with two dogs in Dublin Creek Kennels’ yard. Staff member Monica holds a customer’s dog. Dublin Creek Kennels finds homes for dogs that have been rescued from overcrowded shelters. Staff member Ryan spends time with a customer’s dog. Sheila chews the scenery in Dublin Creek Kennels’ outdoor cattery. Staff member Steff holds a customer’s cat. 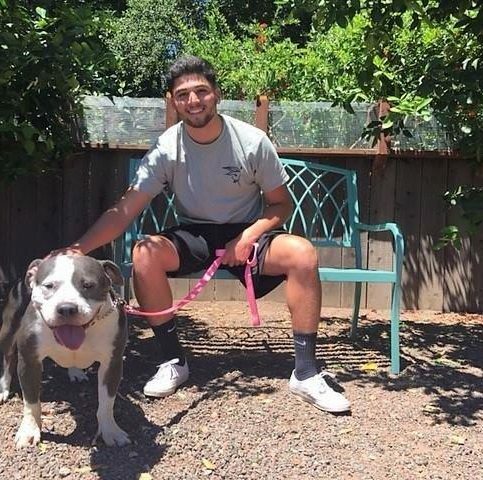 Dublin Creek Kennels helped Adele find a home. 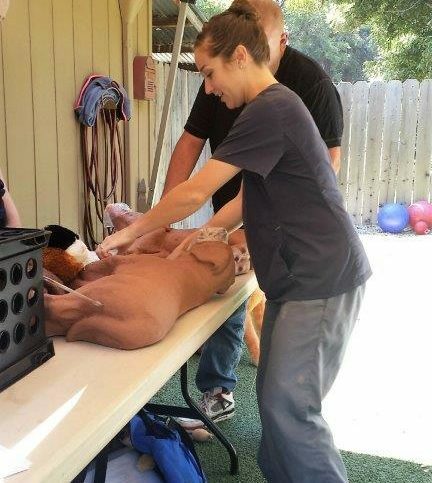 A Dublin Creek Kennels staff member is trained in CPR methods. 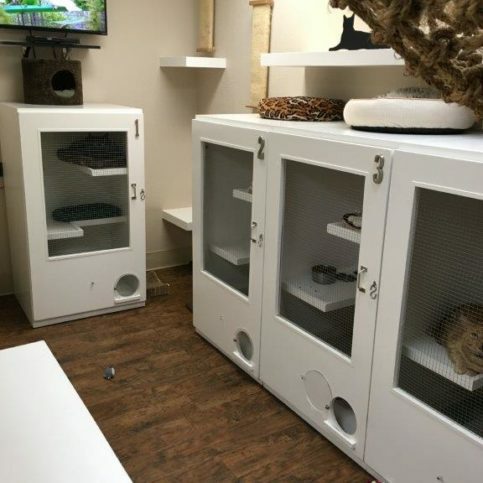 Dublin Creek Kennels’ deluxe cattery features interactive toys. Groomer Monica works on a customer’s dog. 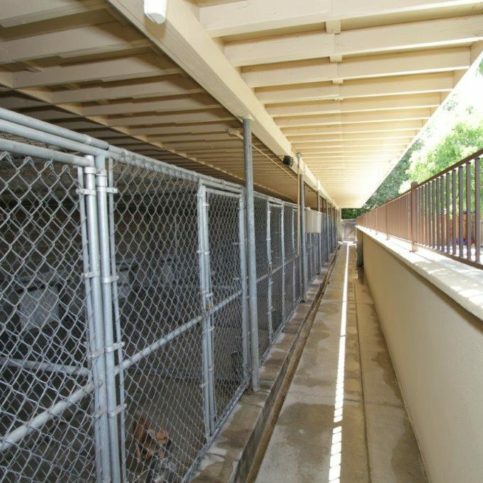 The outdoor portions of Dublin Creek Kennels’ dog runs are protected from weather. 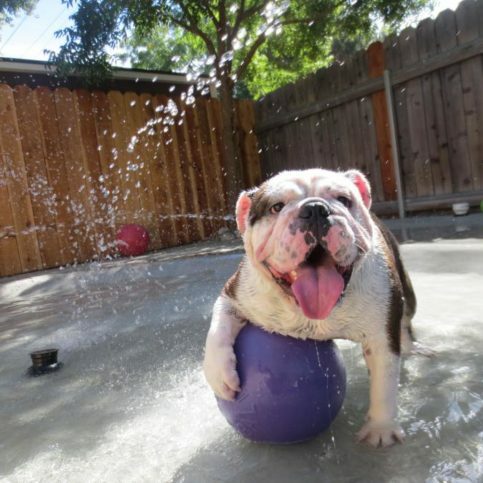 Dublin Creek Kennels’ play area features a water park. Sasha plays in Dublin Creek Kennels’ water park. 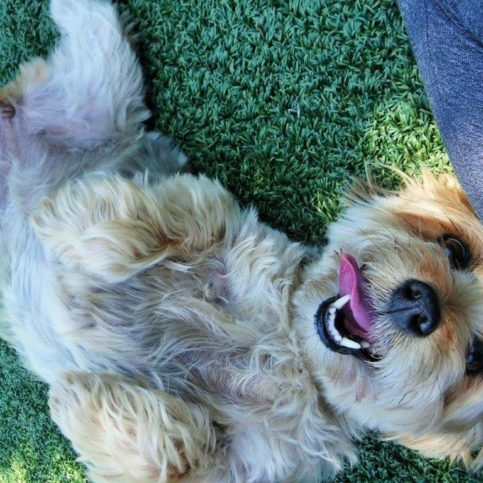 Sophie enjoys playtime in Dublin Creek Kennels’ yard. Susan O’Reilly is a 32-year veteran of the pet care industry and owner of Dublin Creek Kennels, Inc., a Diamond Certified company. She can be reached at (510) 221-6358 or by email. 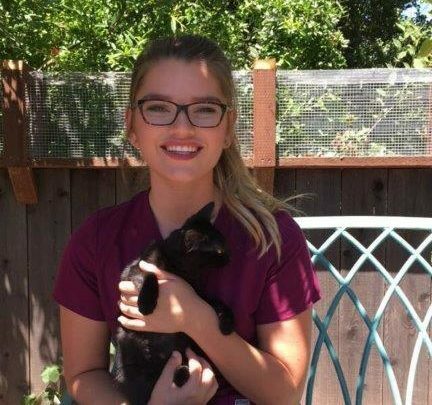 Outside of work, Susan further exhibits her interest in animals, only on a more competitive level. “I have five standard Dachshunds, one of whom competes nationally as a show dog,” she explains. “His show name is ‘Grand Champion Dublin’s Black Ice,’ but at home, I just call him Slick. He’s been the number one male Dachshund in the United States for two years running.” Susan also retains an active involvement in her local business community. “I’m on the board of directors for the Dublin Chamber of Commerce, and I really enjoy getting to know other local business owners, networking and putting on events.” Additionally, Susan likes to travel, follow the San Francisco Giants (“I never miss a game.”) and spend quality time with her adult son, David. Q: What was the name of your first pet? A: Popcorn. He was a cute little mixed-breed Spaniel. Q: What are your favorite television shows? A: Amici’s East Coast Pizzeria in Dublin. Q: What do you like on your pizza? A: It depends on my mood. Two of my favorite styles are gourmet veggie and margherita. A: I would probably go back to Ireland. I love it so much that I could actually see myself moving there. 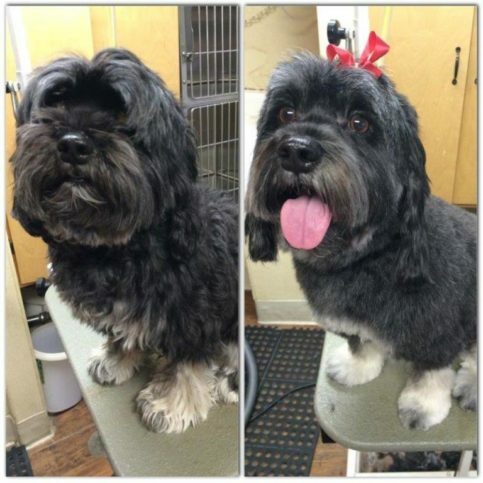 DUBLIN — Most dog owners leave grooming to professionals, but with some basic guidelines, you can do it yourself. First, you’ll need a couple of tools: a slicker brush and a metal comb. You’ll also need a grooming table; if you don’t own one, a card table will work fine for smaller breeds—just pull it up to a door and tie the dog’s leash to the doorknob. For larger breeds, you can sit on the ground with your dog and tie its leash to a doorknob. Pick a section of your dog you’d like to start with. Pull the hair away from the skin and brush it out with your slicker brush. Continue until you’ve brushed out the entire section. Using your metal comb, comb the section you just brushed, starting at the skin and pulling outward. 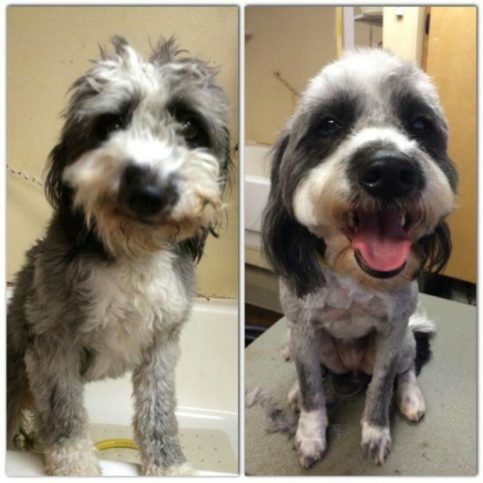 Be sure to get all the tangles out—no one likes matted fur, including dogs. Keep in mind that certain areas of your dog are tender, including the inner thigh, underbelly and armpits, so be sure to brush gently in these areas. Repeat these steps in contiguous sections of your dog’s fur. 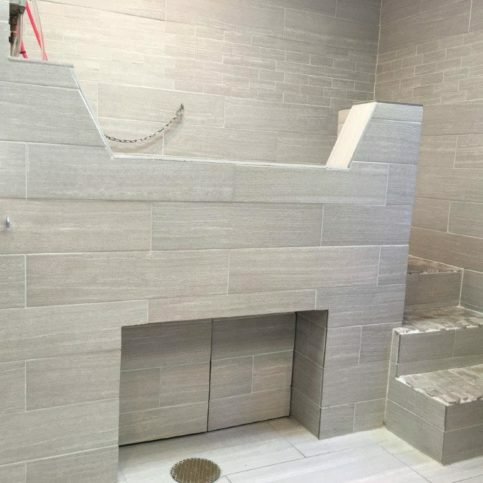 To make sure you don’t miss any areas, work from one end of your dog to another rather than haphazardly. When you’ve finished, your dog’s fur should be soft and smooth. DUBLIN — When selecting a kennel for your dog or cat, there are a few steps you should take to ensure a positive experience for your pet. First, ask around: In addition to getting recommendations from friends, relatives and acquaintances, call the veterinary hospitals in your area. Veterinarians hear the good and bad about kennels from their clients, so they should be able to steer you in the right direction. Once you’ve consulted several sources, take the top three kennels you’ve heard about and visit their websites. Look at the scope of services each provides and see if they meet your pet’s needs. The next step is to personally visit the kennels you’re considering. During your visit, be on the lookout for indicators of quality. Is the facility clean? Do the dogs look happy? Do they all have beds? In addition to observing the animals, you should observe the employees. Do they have a friendly demeanor? Are they knowledgeable? While you’re there, ask as many questions as you can about the facility and its practices. In the end, your decision will likely come down to a gut feeling, but if you’ve done your homework, you’ll feel more confident about your choice. 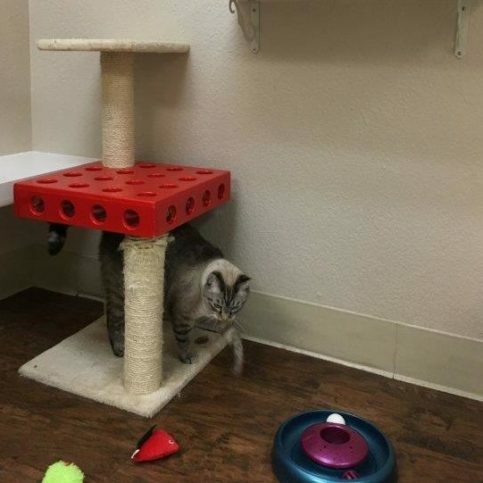 DUBLIN — Sarah Rutan: When choosing a boarding facility for your cat, there are several things you should keep in mind. To learn more, we’re in Dublin with Rebecca Torres of Dublin Creek Kennels, speaking on behalf of Diamond Certified Expert Contributor Susan O’Reilly. Rebecca Torres: Hi. My name is Rebecca. 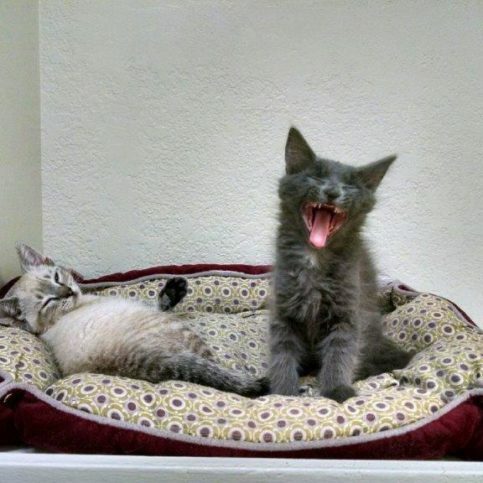 And I’m here to give you expert tips on what to look for in a boarding facility for your cat. 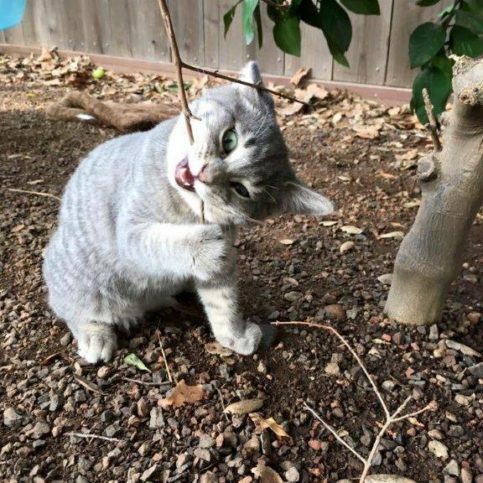 First, you want to find the right place for your kitty. You can call your local vets or call your cat-loving friends to find recommendations. Compile a list of different facilities. Look at the staff. Do they look stressed? Are they overworked? Are they friendly? Don’t forget to verify vaccine requirements. Each facility is different. To make sure your cat starts off with a positive boarding experience, remember to make your goodbyes short and happy. Host, Sarah Rutan: Most dog owners go to a professional for grooming services, but with a little guidance, you can handle this task yourself. To learn more, we’re in Dublin with Monica Cain of Dublin Creek Kennels, speaking on behalf of Diamond Certified Expert Contributor Susan O’Reilly. Monica Cain: Hi. My name is Monica. I’m a professional dog groomer here at Dublin Creek Kennels. This is Shakira. She is a Cavalier King Charles Spaniel. My expert tip for the day is how to properly brush your dog at home. First, you will need a slicker brush and a metal comb. If you do not have a grooming table at home, for smaller breeds you can put a card table up to a door and tie their leash to the doorknob. For larger breeds you can sit on the ground with them and tie the leash to the doorknob as well. So, starting with your slicker brush, pick an area that you would like to start with on your dog. Pull the hair up so you can get all the sections of the leg. I’m going to start with the back. And we’ll go ahead and brush this out. Once you feel like you’ve brushed that area, go ahead and take your metal comb, and make sure you start from the skin and pull out. And make sure that we get all those tangles out. Matting is no fun for both your dog and yourself at home. There are certain areas on your dog that are tender. We have the inner thigh, the underbelly, and the armpits. So, if you have tangles in there, make sure to brush really gently. So, now that Shakira is all brushed and combed out, she’s ready for her bath. High five. 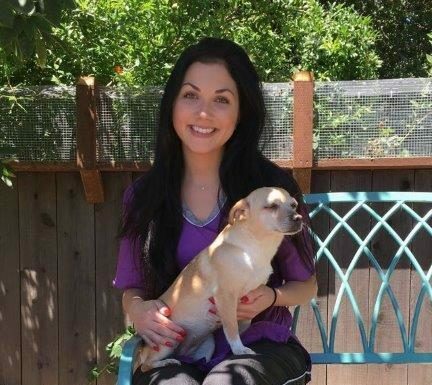 DUBLIN — Host, Sarah Rutan: To ensure a positive boarding experience for your pet, there are a few things you should look for when browsing local kennels. Today we’re in Dublin with Diamond Certified Expert Contributor Susan O’Reilly of Dublin Creek Kennels to learn more. Diamond Certified Expert Contributor, Susan O’Reilly: If you’re looking for a Kennel, looking for a place to board your dog while you go on vacation or taking a business trip, and you’re not sure how to go about finding a good one, here’s some tips for you. First of all, call as many vets in the area as you can. Veterinarians hear all the good and all the bad about kennels, so they should have some good ideas for you. Ask them why they recommend the place, because that could help you as well. Then take the top three names you get and go to their website. Check it out. Does it look professional? Does it provide the services that your dog requires? I would ask friends and neighbors and relatives that have dogs. Ask them where they take their dog when they go on vacation. That could be a real good tip for you too. Then take a tour of the kennels, the places people have recommended to you. Take a tour. And what you want to look for is that it’s clean, that the dogs look happy, that when you’re looking at the dogs do they all have beds to lay on? And then how are the employees? Are they knowledgeable? Are they educated? Ask as many questions as you can. Are they warm and friendly? Would you feel comfortable having them watch your dog? Check, make sure the place is heated and air conditioned. Many places are not so it’s important to make sure that it is climate controlled. Ask where the dogs go in bad weather. Can they still go out and play if it’s raining? If it is raining, where do they stay? You want to go on your gut feeling, but if you really do your homework, then whatever place you pick, you’ll feel good about it. Diamond Certified RATINGS ON Dublin Creek Kennels, Inc.
Dublin Creek Kennels, Inc. : Average 9.6 out of 10 based on 150 unique customer surveys of customer satisfaction. I tell people about them all the time. They are reliable, responsible, and just a great place. They are friendly. I like the whole kennel and the play yard. I like that they post pictures online of my pets. They are the best. They are clean, professional, and they take excellent care of my animals. I would highly recommend them. Really everything, clean, friendly,` and my animals love it. They are great. I recommend them highly. Their friendly service, they show respect and compassion to the animals. They treat them very well. I always recommend them. They are compassionate. That they truly care, it's not just a business. I would sleep there. 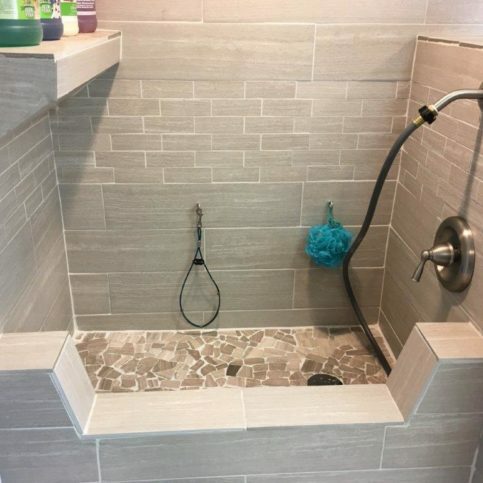 It is very clean and very nice. 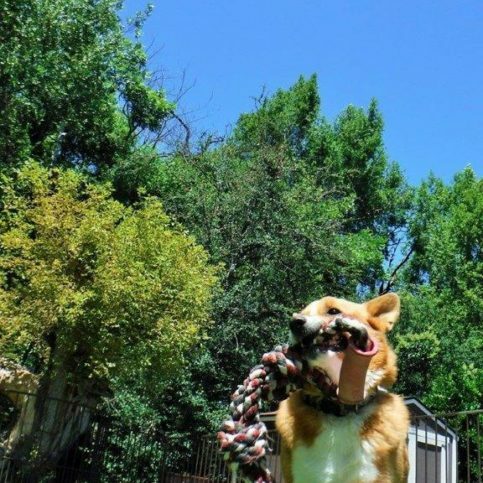 My dog always comes home happy and well-balanced. They have a knowledgeable staff and treat my dog like their own. They are very caring. I have had multiple pets, and they always remember them, even the older ones. It's like they are family. The friendliness of the people, and there is not a big turnaround. The people I always see there have been there for years. They treat your pets like they are their own family members. I had two dogs, and while I was away, one of them got sick. They tried to contact me, but I was in Alaska, and the phone service was not good. They took my dog to the vet and took good care, as if he was their own until I could get back. The people are wonderful, and the facility is clean and well kept. They feed my animals the way I ask. They have a public Facebook page, so you can see your animals. My one dog had to be put to sleep. 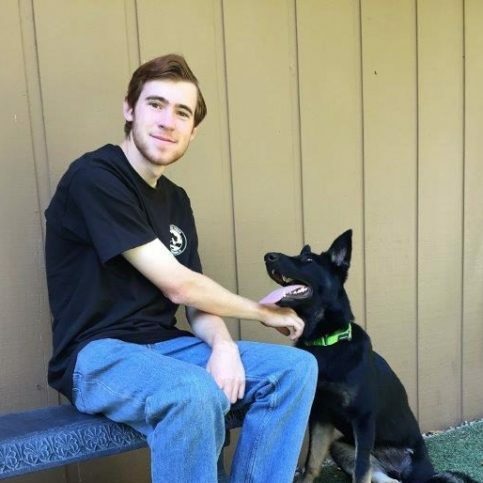 They were able to give me pictures from their Facebook page of when my dogs stayed there, so I can have them. 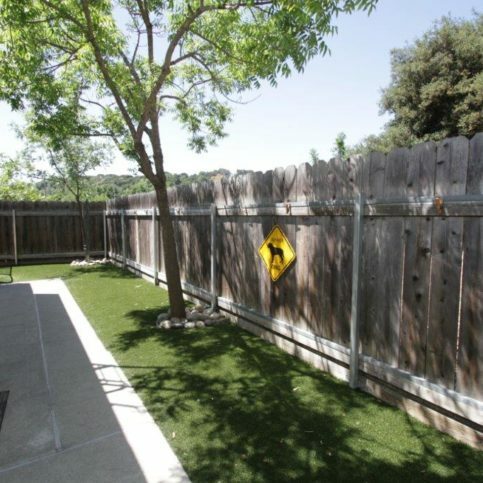 A very knowledgeable staff that is very friendly, and the dogs always have a good time. I believe that it is family owned. I like that the owner lives on the property, so there is always someone there. They take care of your pets. They are very caring. I have been using them for probably 10 years. I really can't pick out one thing. I am very happy. They are very dedicated. I have been using them for over 14 years. I used to take my cat and dog there. I never had any problems. They were all so friendly, and you could tell they really cared about your pets. They take care of your pet like their own. The place is spotless. It is the only place I will go to. They are friendly and take good care of your pets. You know they are there if anything goes wrong. I love that they post pictures of your pets. I would totally recommend them. They care for your animals. I feel confident leaving my dog and cat there. They are friendly, and someone is there in case it gets to cold or something. They are very reliable, and they take great care of your pets. I am very satisfied with the service. They are reliable and happy pets. They are great, and the facility is well taken care of. They are my go-to. It's a great place to leave a family member. The people and the place, they do a good job.